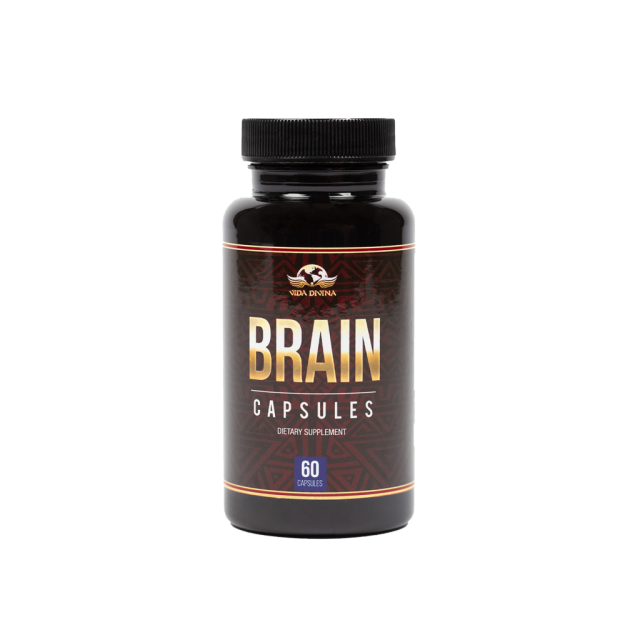 Vida Divina® presents one of the most powerful supplements to support healthy brain function. Formulated by our co-founder Dr. Ramos, this proprietary blend is like upgrading your RAM on your computer. 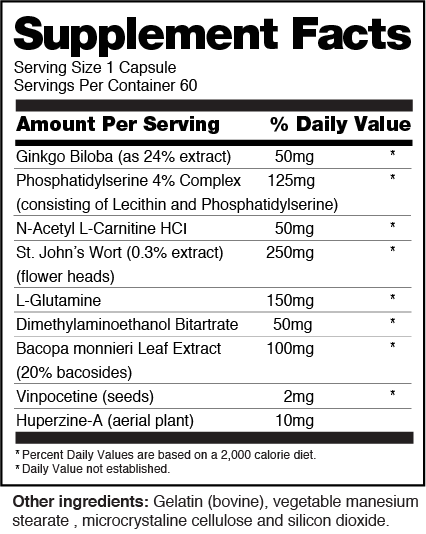 Suggested Use: Take 1 capsule up to 2 times daily with food or as directed by a health care profession. Do not exceed recommended daily dose. Ginkgo Biloba: The most helpful components of ginkgo are believed to be flavonoids, which have powerful antioxidant qualities, and terpenoids, which help improve circulation by dilating blood vessels and reducing the "stickiness" of platelets*. St. Johns Wart: May improve mood and decreases nervousness and tiredness related to depression*. Caution: Keep out of reach of children. Do not use if you or your family has a history of breast cancer, prostate cancer, prostate enlargement, heart disease, low “good” cholesterol (HDL), or prescription drug without consulting your health care professional.